OXFORD, Miss. 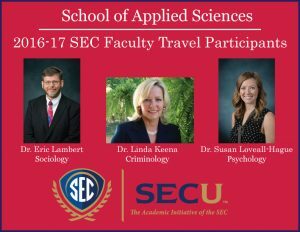 – Nine University of Mississippi professors are among more than 100 faculty members from all 14 Southeastern Conference universities selected to take part in the 2016-17 SEC Faculty Travel Program. The program, in its fifth year, provides support for selected individuals to collaborate with colleagues at other SEC member institutions on research, lectures and other activities. This year’s UM representatives are Robert Bernard, professor of philosophy; Katherine Dooley, assistant professor of physics and astronomy; Adam Estes, assistant professor ofmusic; Susan Loveall-Hague, assistant professor of communication sciences and disorders; Linda Keena, associate professor of criminal justice; Eric Lambert, chair and professor of legal studies; Samuel Lisi, assistant professor of mathematics; Micah Milinovich, associate professor of mathematics; and Jeffrey Watt, Cook Chair and professor of history. “The SEC Faculty Travel Program continues to garner significant interest from faculty members across the conference, and we are encouraged by how our universities have identified a range of individuals to participate,” said Torie Johnson, executive director of the SEC’s academic initiative, known as SECU. Through the program, the SEC provides financial assistance for faculty members to travel to other SEC universities to exchange ideas, develop grant proposals, conduct research and deliver lectures or performances. 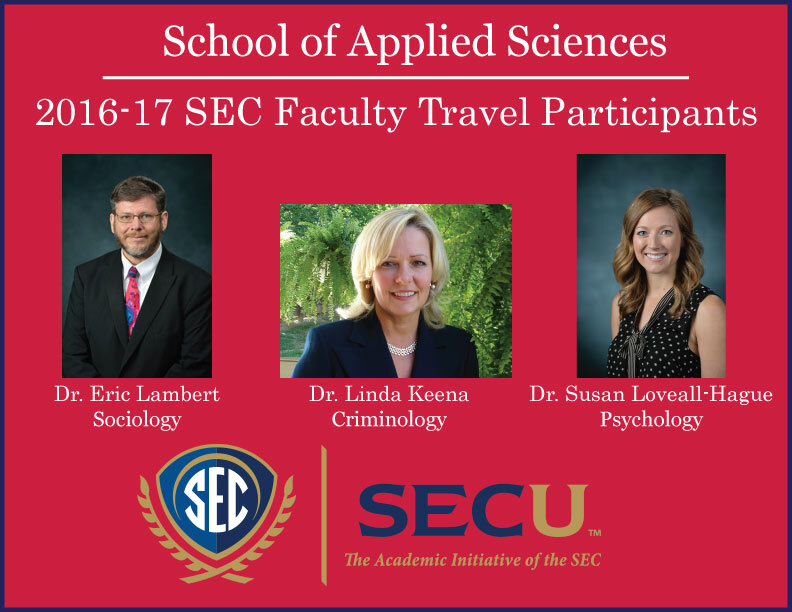 The SEC Faculty Travel Program is part of SECU, the academic initiative of the Southeastern Conference. The SEC supports and promotes the endeavors and achievements of the students and faculty at its 14 member universities.